For most of the time in the past 200 years, the peoples of Bukalanga have been treated as a sub-ethnicity of the Ndebele, the Ngwato and the Shona. We also raised the point that the Great Nation of Bukalanga is made up of at least sixteen tribes speaking different but interrelated languages. In this chapter we shall go into detail answering the question: Who actually are the Kalanga? In an era when the Kalanga nation has gone through many convulsions, displacements and assimilations, it may be a bit difficult to identify the people who are actually of Kalanga origin. By Kalanga this book goes beyond the definitions that we have in some school textbooks today which claim that all who live in the so-called Matabeleland are Ndebele and all who live in the Central District of Botswana are Ngwato-Tswana. The book goes beyond that and looks into the identity of the historic nation of Bukalanga dating back almost 2000 years. We have the authority of a number of writers who lived among these people in the 19th century that indeed these groups are of Kalanga origin. Starting with the Tembe and Ba-ka-Baloyi, we have the authority of the Swedish missionary, the Reverend Henry Junod. Junod was a member of the Swiss Romande Mission, living in Lourenco Marques [modern-day Maputo] among what was called by the generation of his writers the Thonga tribes. We know them today as the Tsonga. Junod had been challenged by the British academic and liberal politician Lord Bryce in 1895 to study the native peoples he was staying with, for indeed they were the ones that he had travelled to Africa for. To that challenge Junod responded by setting out on a research mission that spanned about a quarter of a century, culminating in the writing of two of his volumes, The Life of a South Africa Tribe, Volumes I and II. The Thonga tribe is composed of a group of Bantu peoples settled on the eastern coast of South Africa, extending from the neighborhood of St. Lucia Bay (28o Lat. S.) on the Natal Coast up the Sabie River on the north. Thongas are to be found there in four of the present South African states: in Natal (Amatongaland), Transvaal (Leydenbourg, Zoutpansberg and Waterberg districts), in Rhodesia, and chiefly in Portuguese East Africa (Lourenco Marques, Inhambane and Mozambique Company districts). The Thongas border on the Zulus and Swazis southwards; westwards on the Ba-Mbayi, Ba-Lauti and other Suto-Pedi clans in the Transvaal; northwards on the Vendas and Ba-Nyai in the Zoutpansberg and Rhodesia, and on the Ndjaos near the Sabie; and eastwards on the Thongas near Inhambane and on the Ba-Chopi, north of the mouth of the Limpopo√É¬¢√¢‚Äö¬¨√Ç¬¶ The name Thonga is a generic name for a number of tribes, addressed using various names such as: Ronga, Tsonga (also Hlengwe), Tjonga, and Shagaan or Tshangaan. They are divided into the following six groups: the Ronga, the Djonga, the Nwalungu, the Hlanganu, the Bila, and the Hlengwe (Junod 1927: 13, 16-18). Almost every clan pretends to have come from afar, and strange to say, they came from all points of the compass. Two of their clans, without doubt, come from the north, the Ba-ka-Baloyi and the Tembe. The Ba-ka-Baloyi, they say, came down the valley of the Limpopo in very remote times√É¬¢√¢‚Äö¬¨√Ç¬¶ According to some of the Native historians, the Ba-Loyi came from the Ba-Nyai country along with the Ba-Nwanati (a Hlengwe group), who also belonged to the Nyai or Kalanga race [the Ba-Loyi were later called Makwakwa, from a fruit that they found on the sandy plains of the sea in their southward march] (Junod 1927: 21-2). As regards the Tembe clan, it is said to have come down as far as Delagoa Bay from the Kalanga country by the Nkomati River on a floating island of payrus, and to have crossed the Tembe river and settled to the south of the Bay√É¬¢√¢‚Äö¬¨√Ç¬¶ The Tembe people, when they greet each other, sometimes use the salutation Nkalanga, i.e. man of the north or of the Kalanga country, and there is little doubt that, notwithstanding the legendary traits of this tradition, the fact itself of the northern origin of these clans is true (Junod 1927:23). Tembe-Karanga (Kalanga), who were in the Delagoa Bay region by 1554. The Baloyi (Valoyi) √É¬¢√¢‚Äö¬¨" Rozvi (Lozwi), who were already in the N'walungu region during the time of the Dutch occupation of the Delagoa Bay (1721-31). Some Hlengwe oral traditions claimed that the Hlengwe were actually the ones who converted the Valoyi from Rozvi (Lozwi) into Tsonga in Zimbabwe and Mozambique. This probably happened after the death of the powerful king of Rozvi, Changameri Dombo in 1696 (Mathebula, Nkuna, Mabasa, and Maluleke 2007: Online). The Venda had a special relationship with the endogamous caste of smiths and craftsmen called the Lemba who have Islamic traits in their culture. These people are also well known north of the Limpopo. In Vendaland this group still speaks a form of Kalanga and, in Rhodesia, the only specimen of Lemba that the writer has seen is certainly Kalanga (Fortune 1973: 3). Fortune cites as sources of his information Professor G. P. Lestrade (The Copper Mines of Musina, pp. 6, 10; "Some notes on the ethnic history of the VhaVenda and their Rhodesian affinities", in Contributions towards Venda History, Religion and Tribal Ritual, edited by N. J. van Warmelo, Pretoria, Government Printer, 1932, p. xxviii); and N.J. van Warmelo ("Zur Sprache und Hernkuft der Lemba", Hamburger Beitrage zur Afrika-kunde, 1966). Professor Lestrade and van Warmelo had at the time done what was perhaps the most extensive study of the peoples living on the banks of the Limpopo. That the Lemba are a Kalanga group is also attested to by the Electronic Bibliography for African Languages and Linguistics (EBALL). EBALL is a bibliographical database aiming to collect, as exhaustively as possible, references to works dealing with African languages and linguistics, with an intended coverage comprising any and all languages found on the African continent, such as Afro-asiatic, Khoesan, Niger-Congo and Nilo-saharan languages. A draft document of the Preliminary "Indigenous" Institutional Profile of the Limpopo River Basin also lists Kalanga as comprising various sub-dialects such as Lozwi, Lemba, and Nanzwa (Nambya) among others (Earle n.d.: Online). √É¬¢√¢‚Äö¬¨√Ç¬¶the Zoutparnsberg mountains had long been inhabited by Venda groups known as Ngona and Mbedzi, while the Limpopo Valley and the courses of its tributaries such as the Shashe or the Mzingwane had been the equally long-occupied area of the southwestern Shona, the Kalanga. These Kalanga, or more accurately, southern Kalanga √É¬¢√¢‚Äö¬¨" had been cut off from the northern Kalanga of the Togwa and Tjangamire states by the immigration of the Sotho-speaking Birwa, such as Hwadalala. One of the groups of southern Kalanga south of the Limpopo was 'Twamamba', and whereas some in the Brak River-Saltpan area continued to speak Kalanga, those who lived in the Zoutpansberg range itself came to speak Venda (Beach 1994: 180). More information on the Kalanga-Venda relationship will follow when we consider the Lozwi-Kalanga relationship later in the chapter. 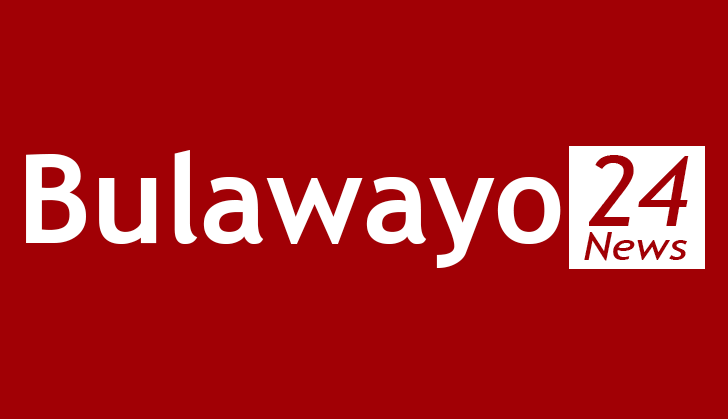 The information supplied above gives us a partial answer to the question: "Why is it that there are people with Kalanga totems in regions from South Africa's Limpopo Province all the way down to KwaZulu-Natal?" This is one of the arguments most advanced by those who deny that not all people, as we shall see later, who use animal names for totems are of Kalanga origin. Some participants in the Facebook groups that I have been involved with charge that since there are people with the totems Ncube, Mncube, Ndlovu, Mdlovu, Dube, Mthembu, Vundla, Mvundla, and so on, in Mpumalanga and Zululand, these people cannot be Kalanga. Here is provided an answer to that question. Part of the answer to the question is to be found in the 1720s. There is record of a major Kalanga migration down into Natal in the 1720s that was forced by the migrations of the Nguni tribes (Hall and Neal 1904: 131-132). In fact, one would not be entirely wrong to think that in their march down south from the north, the Nguni would have picked up many Kalanga who would have been on their migratory course as the Kalanga were then dwelling the whole of the Zimbabwean tableland all the way from Mozambique right up to the Kalahari Desert in modern Botswana. We may also find explanation for the existence of Kalanga people in the Limpopo, Mpumalanga and KwaZulu-Natal Provinces from the disintegration of the Kalanga city-state of Mapungubgwe on the banks of the Limpopo River. It is most likely that as Mapungubgwe dissolved, some people who lived there would have migrated southwards as some of them founded the new city-state of Great Zimbabwe. Some people that I have interacted with on the social networking site Facebook question the idea that the Kalanga peoples could have migrated all the way down to Zululand. That could easily have been the case if we consider the fact that the Khoisan communities, who are known to have settled Africa south of the Zambezi before the Kalanga, are found all the way down to the Western Cape Coast. It is possible that a similar southward push would have impacted on Kalanga groups as more groups pushed south from the north. Being an agricultural people, they would have chosen a migratory course along the east coast where the environment would have been more suitable for agriculture, as opposed to west South Africa where the climatic conditions tended towards the Kalahari Desert. Let us proceed to a consideration of the other Bukalanga people groups. That the Tswapone or BaTswapong are a Kalanga group was first revealed to me by my 70-year grandmother, Elizabeth MaDumani, who belongs to that tribe, when I asked her to recite for me their praises (zwitetembelo/izangelo). I would later find recorded evidence in the work of Professor Werbner who, in his contributing chapter to Meyer Fortes and Sheila Patterson's book, Studies in African Anthropology, identified the Tswapong as a Kalanga people (Werbner, in Fortes and Patterson 1975). Lest it be surmised that Professor Werbner cannot be an authority on who is Kalanga or not, we will do well to know that his research work among the Kalanga was assisted by leading and elderly Kalanga men and women such as Mbiganyi Tibone, Onalenna Selolwane, Sam Mpuchane, Gobe Matenge, Richard and Rosina Mannathoko, all who are proud and self-identifying Kalanga. And for interest's sake, he himself is an American Jew who speaks Ikalanga fluently. The genealogy of the Lovhedu dynasty of Modjadji chiefs shows that their earliest chief, Dzugudini, flew southwards from Vokhalaka [or Bukalanga] c. 1600. She points out that "There can be no doubt that the underlying Lovhedu divine kingship stems from Rhodesia." She states that according to oral tradition the Lovhedu once lived at a place called Maulwe which formed part of a kingdom called Monomotapa, ruled by a Mambo. The daughter of the Mambo, it is said, bore a child by her brother. Forced to flee before the wrath of her father, she left with her infant son and a following, taking with her the rain charms and ditugula (sacred amulets). They went south and after many vicissitudes, eventually arrived in the area they occupy today (Krige, in Meyer and Patterson 1975: 57). One of the many questions that have baffled students of Zimbabgwean pre-colonial history has always been: Who were the Lozwi, and where did they come from? A great deal of speculation and confusion has followed, so much that today many are still not sure if the Lozwi are a people of Kalanga or Shona origin. This confusion has been compounded by the fact that during the invasion of the Ngoni of Zwangendaba and the Matabele of Mzilikazi, the Lozwi were scattered all over Zimbabwe and other Southern African countries, so much that many a Lozwi today is identified as Ndebele, Zezuru, Manyika, etc. But, who were the Lozwi? To us the Kalanga, the identity of the Lozwi is not something that we can spend time fussing over because we have always known that the Lozwi are just one of the clans of Bukalanga. They are just another Kalanga clan like the Whumbe of the Tjibelu (Ndebele totem), the Tswapone of the Dumani totem, the Lubimbi of the Shoko totem, the Mperi of the Khupe totem, the Nhaba of the Zhowu/Ndlovu totem, the Mwayile and Mange clans of the Tshuma totem, and many other such. The only difference is that for the last one hundred and fifty years before the Nguni invasion, they had been the ruling clan, just as the Lubimbi were the priestly family, the Leya were the spies (bo Mndambeli), the Tjibelu/Ndebele royal counsels (Nsungwa wa He = Sungwaha), the Dube and others the royal historians (bo Kumbudzi) and so forth. Out of a lack of understanding of these societal arrangements of Bukalanga, European writers 'created' a totally new nation called the Lozwi people. As a result, confusion has prevailed in academic circles and in school history books as to whether the Lozwi were a new group of migrants into the Zimbabwean Tableland at the time of their rise to power in the 1690s, or they were just part of the Kalanga. But who were they? √É¬¢√¢‚Äö¬¨√Ç¬¶in the 1680s, the Togwa dynasty, which had been one of the successor states to Great Zimbabgwe, was conquered by the Lozwi of Tjangamire Dombo (Moyo√É¬¢√¢‚Äö¬¨"Nitombo=Dombolakona-Tjing'wango) who is attested in Portuguese accounts and who is apparently to be identified with the orally remembered figure of Mambo Dlembewu. This is consistent with the archeological record, which sees the abandonment of Khami after the seventeenth century, to be succeeded by the less magnificent constructions of Manyangwa and Danangombe. The certainty and truth of the above statement is established when the history of the Venda, as told by themselves, is read. It is stated in Venda history that during the 18th century, a group of people belonging to the Kalanga-Lozwi tribe in present-day Zimbabwe migrated south, crossing the Limpopo River. As they wandered up the valley of the Nzhelele River, they had the good fortune to stumble upon a beautiful new homeland at the foot of the mysterious Zoutpansberg Mountain Range in the Northern (now Limpopo) Province. They promptly named the mountain range, Venda (i.e., pleasant place), and settled there (Anonymous: Online). Tjibundule had been chief of the Kalanga when, unawares, the Nyayi from Venda crossed the Limpopo and camped at the Ntugwi (Tuli) River, at a place that later became known as Lutombo gwabaNyayi (Hill of the Nyayi). The origin of the name BaNyayi was that the Lozwi had ambassadors (or spies) who spied on the country of Tjibundule. They had a chief by the name of Netjasike (childhood name Tjilisamhulu), who too became very powerful in the land and was also referred to as Nhu Unotapa, a title that for centuries had signified the lord of the land, the Monomotapa of the Portuguese. Netjasike had in his council of advisers Nhale and Ninhembgwe, who was the father of the famous general and medicine-man, Tumbale Bhepe la Mambo, founder of the Bhebhe/Bhebe clan. Tjibundule and Nitjasike are said to have established good relations as neighbors, and constantly visited each other. But in due course, Nitjasike started developing an interest in Tjubundule's country for its peace, glory and splendor, and set out plans of how to overthrow Tjibundule and take over the kingship. Nitjasike, after a number of failed attempts to overthrow Tjibundule, finally succeeded in doing so by using the instrument of his daughter, Bagedze Moyo, who he gave for a wife to Tjibundule. After overthrowing Tjibundule, he took over as Mambo (King) of Tjibundule's territory, and united the Kalanga of Tjibundule with his own Kalanga (BaNyayi=BaLozwi as we shall see later) into one people. Nitjasike's councilors were Nhale Moyo, Mabhaya Gomo, Malubanhalu Moyo, Ntasi Hoko (Ncube) and Ngomane Gumbo. √É¬¢√¢‚Äö¬¨√Ç¬¶ Urobze lies a long way from Manica, it would take a month to reach it, it is said to be nearer to the Cape of Correntes. The Africans call it Goromucuro; it lies to the west of Manica. The Kingdom abounds in rolling veld plains. There are huge herds√É¬¢√¢‚Äö¬¨√Ç¬¶ There are many birds called 'emas' [ostriches]. There are also very few trees, if at all, and firewood is replaced by cow-dung dried in the sun√É¬¢√¢‚Äö¬¨√Ç¬¶The men and women are mis-shapen, they run very swiftly, are robust and fearless√É¬¢√¢‚Äö¬¨√Ç¬¶, their language rough and each word is produced with such a vehement click of the tongue that one would say they are tearing the sounds violently from the very depths of their beings" [no doubt a description of the Khoisan]. It seems probable that the name Urobze may first have been applied to a territory lying in the middle of the plateau, between Monomotapa and Butua, and then to the territory which extended right over the south-west sector, to the south of the river Umfuli, which was the southern border of Monomotapa. Nevertheless, it is not clear what Goromucuro corresponds to. The image "abounds in rolling veld plains" evokes the Butua of the sixteenth century texts; the abundance of livestock, the existence of ostriches, the sparseness of trees and a population speaking in a language of clicks, clearly indicates the region stretching between the Shangani and the Shashi in the south-west of the plateau bordering on the Kalahari, that is, Butua where the large settlements of Khami, Nalatale and Dhlodhlo were to be found (Randles 1979: 16-17). This, of course, raises the question of whether the Rozwi were of Kalanga origin, and the answer is not clear. The Kalanga are, as we have seen, mentioned in Portuguese sources from 1506 and then seem to be occupying the whole of the plateau. The Rozwi, under the name of Borobzes, make an appearance only around the middle of the eighteenth century and occupied only the south-west sector. According to Pacheco, the conquerors from the north of the plateau were known as Banyai. But Livingstone at the time of his travels near Chicoa (north-eastern Zimbabgwe) wrote: "Here they call themselves the Bambiri, though the general name of the whole nation is Banyai." Now, Carl Mauch, one of the first explorers to penetrate north of the Limpopo coming from the Transvaal, came across the Banyai at the other end of the plateau, around 20o 30 S and 30o 50 E, a little to the south of the Zimbabwe ruins. From the middle of the eighteenth century we find the usage of the word "munhai" (munyai), that is the singular; Antonio Pinto de Miranda (c. 1766) did not hesitate to make a Portuguese plural of this Bantu singular and so wrote the "munhaes" are "the officers charged with the duty of proclaiming decrees and orders of the emperors [of Monomotapa]". According to Ignacio Caetano Xavier (1758), they were "a sort of janissary" army of the Monomotapa. For Lacerda e Almeida (1797) the "munhaes" are quite simply the vassals of the Monomotapa. Finally, Posselt (1935) likens the Banyai to the Rozwi. In a subject where many questions are easier to ask than to answer, let us formulate an hypothesis which seems attractive: the Banyai could have been a dominant group within the Kalanga people who left the south to conquer the north of the plateau, while the Lozwi could have constituted the nucleus of the dissidents who rallied to Tjangamire, took root in the south-west and then, in 1693, launched into the conquest of the north-east under Tjangamire II. Thus, perhaps, when the Kalanga in the fifteenth century began their expansion toward the north and the Indian Ocean, they also advanced into the south-west at the same time as part of a single concerted movement. This indeed seems to be the interpretation expressed in the accounts of Alcacova and Barros, at least for the period up to the time of the revolt of Tjangamire I, when two factions developed separately, one in the south-west, the other in the north-east and on the coast (Randles 1979: 19-21). Going by the conclusions of Randles, there can be no doubt that the BaNyai of Kalanga oral tradition and the BaLozwi of Portuguese records are one and the same people. But we still further ask again, were the BaNyai or BaLozwi a Kalanga people? This question becomes very important to ask in light of the claims by some that the BaNyai are the ancestors of the modern Shona. That the BaNyai are the same race as Bukalanga is attested to by a number of other writers. To the country between the Tuli and Lunde Rivers the name of Banyailand may be very properly given, as it is inhabited by a number of petty so called Banyai chiefs, who, by some account are tributary to Lo Bengula, but who by others refuse to recognize the Matabele monarch as their King√É¬¢√¢‚Äö¬¨√Ç¬¶ At the time of the entrance of the British Pioneer column, the Makalaka would be described as "chickenhearted" people living in constant dread of Matabele raids. The Makalaka, or Banyai people, [are] a mild and inoffensive race lived in daily and hourly terror of the Matabele √É¬¢√¢‚Äö¬¨√Ç¬¶ (Mathers 1891: 350, 355, and 360). All the people and tribes around Zimbabwe [Great Zimbabgwe], down to the Sabi River and North to Fort Charter √É¬¢√¢‚Äö¬¨" and this is the most populous part of the whole country √É¬¢√¢‚Äö¬¨" call themselves by one name, though they are divided into many tribes, and that name is Makalanga. In answer to questions as to their nationality they invariably call themselves Makalangas, in contradistinction to the Shangans, who inhabit the east side of the Sabi River. 'You will find many Makalangas there,' 'A Makalanga is buried there,' and so on. The race is exceedingly numerous, and certain British and Dutch pioneers have given them various names, such as Banyai and Makalaka√É¬¢√¢‚Äö¬¨√Ç¬¶ (Bent 1892: 32). All the tribes here are descendants of the Banyai, a nation further to the east. The Makalakas were a distinct and independent people beyond the memory of man√É¬¢√¢‚Äö¬¨√Ç¬¶ The great-grandfather of the present Wankie, also called Whange, fled from his father Gole, chief of the Banyai, and set up for himself√É¬¢√¢‚Äö¬¨√Ç¬¶The Banabea claim descent from a great Banyai chief called Mambo, one of whose titles was Dalamo (Tabler 1968: 73, 146). Mr. F. W. T. Posselt, writing in 1935, also informs us that the Banyai are a Kalanga race. About them he wrote: "According to some of the native historians the Baloyi [=BaLozwi] came from the BaNyai country along the Nwanati, who also belonged to the Nyai or Kalanga race√É¬¢√¢‚Äö¬¨√Ç¬¶" (Posselt 1935: 143). Herr Karl Mauch had already pointed out back in 1871 that the BaNyai are a Kalanga race. He wrote concerning Great Zimbabgwe, "The name of the hill with the ruins is Zimbabye or, possibly Zimbaoe. The former name is the name given to it by the local Makalakas or Banyais (Bernhard and Bernhard 1969:148). Elsewhere he uses, interchangeably, the words BaNyai, Makalaka and Balosse, Balosse being the German rendering for BaLozwi (ibid., 203, 204 and 215). A Rozvi invasion of the 1690s successfully took over the area and set up the Changamire state which mainly functioned as a confederacy of tributary agnates. The Rozvi dynasty intermarried with the 'Kalanga' and adopted their dialect thus preserving the cultural continuity of the Kalanga. This way a sense of cultural fluidity came into place characterized by exchange and inculturation between the two groups (Mazarire 2003: Online). On the other hand, they are undoubtedly associated with the Kalanga, no doubt at first as rulers, but as time went on inter-marriage may have brought about a more intimate relationship (Robinson 1963: 3). Even with the doubts of some, there seems to be available adequate evidence upon which we can safely conclude that the BaNyayi are one and the same people with the BaLozwi, and that these are part of the Kalanga race. One other simple way of telling that indeed the Lozwi were Kalanga is that the Kalanga language was the lingua franca of the Lozwi Kingdom. It is unthinkable that in a period of about 150 years the Lozwi, if they were not a Kalanga group, and hence having a language of their own, would have totally lost their language as to use Kalanga as their official language. That would even be very incredible considering that they were the rulers, for it is very uncommon for those who are rulers to completely lose their language and identity to those upon whom they are ruling. With that said, let us look at another way we can identify the Bukalanga peoples - their totems. In dealing with√É¬¢√¢‚Äö¬¨√Ç¬¶ [the] Kalanga people, we need to look at the situation before the arrival of the Ndebele. The Kalanga had surnames that they were using whose language the Ndebele did not understand. It became necessary for the Kalanga to give equivalents for their surnames. For example the Hhowu or Zhowu became Ndlovu, Whungwe became Nyoni. Long after colonialism there was a time when many Kalanga people sought to change their surnames into Ndebele. This was their way of fighting inferiority complex [imposed by the Ndebele] (Nyathi 2010: Online). It will therefore be noticed that most people who identify as Ndebele in Zimbabgwe today are of Kalanga origin, and they are the majority of the people of the so-called Matebeleland Provinces. It is ironic that these are the people who in Zimbabgwe are being daily accused by some among the Shona of being 'foreign intruders from Zululand' and yet they are the aboriginal inhabitants of the land who settled in Zimbabgwe over 1000 years before the Shona themselves arrived, at least only second to the San communities! Tradition goes to say that, at some period difficult to fix precisely, but which, speaking very roughly, may have been between about 150 and 200 years ago, there occurred the invasion of the site-area, by people of the Sotho nexus. These Sothos are related to have conquered the inhabiting Kalanga-Venda clans, and to have taken possession of the land, and to have dispossessed the ruling Kalanga-Venda line of chiefs, substituting a Sotho line therefore. Both Tshiwana and his full brothers like Dijane are apparently descendants of this line. They both called themselves Sotho, and gave their totem as kwena (crocodile), but Dijane also stated that their mother was a Lea [Nleya] (Lestrade, in Fouche 1937: 121). Ngwato was the second son of Malope, who√É¬¢√¢‚Äö¬¨√Ç¬¶ wrenched some of his father's Bakwena people. The second portion of Malope's people on his death fell to Ngwato, and became BaNgwato or BaMangwato, and choosing phuti or the duiker for their totem animal, they are alternatively termed BaPhuti. The successor of Ngwato was Mathibe. This chief had two sons, namely Khama I and Tauana. Even before his death the younger son saw no reason why he should not be an independent chief also. Accordingly, when Khama I ascended the BaNgwato throne, Tauana took some of the people, went north to Lake Ngami, and there established himself, his adherents calling themselves BaTauana after him. The first immigrants or pioneers now living in South Africa were the ancestors of the people termed the Bakalahari and the Balala, followed by the Batlapin and Barolong. After the Barolong other tribes of the same family came down, notably the Bakwena, and then the Bavenda group of tribes, who arrived on the southern bank of the Limpopo about the close of the seventeenth or the beginning of the eighteenth century√É¬¢√¢‚Äö¬¨√Ç¬¶ Their affinities with the Bakwena group are in many respects so close that they must have separated from them at no very remote time√É¬¢√¢‚Äö¬¨√Ç¬¶ (Theal 1907: 57-60). Taking the information supplied by Dr Theal and combining it with the traditions recorded by Professor Lestrade and Molema, we may come up with a hypothesis, which may be close to the truth, as follows: that the Bakwena, a Kalanga group, settled around the Mapungubgwe area, was overrun and conquered by Sotho-Tswana groups, and over the years, lost its language just like the many Kalanga in present-day Matabeleland have since lost their language to the Ndebele. For, according to Chiefs Tshiwana and Dijane, they are descendants of a Kalanga-Venda line of chiefs who were conquered by the Sotho, and came to call themselves Sotho. Perhaps in this is found the explanation of the animal totems of the Bakwena, for there is reasonable ground to believe that only Bantu people of Kalanga origin use this system of totems as opposed to clan-names. Let us now turn to the Ndebele. The question is how do we differentiate them from Bukalanga? To answer that question let us take a look at the clan-names of the Ndebele so that the reader understands the difference between the Ndebele and the Kalanga. The list of Ndebele totems below was provided by the Reverend Mtompe Khumalo, who also supplied part of the list above. According to the Reverend Neville Jones who worked with the Reverend Khumalo for many years, Khumalo was a member of the Matabele Royal House and distantly related to Lobengula. He was a hereditary adviser to the King and would have held a position of considerable authority had Lobengula been living during Kumalo's mature years. Khumalo was born in the royal kraal at eNyathini in the area of present-day Burnside, Bulawayo. He was a cattle herdsman at the time of the battle of the Shangaani Patrol, so would have been born between 1875 and 1880. He grew up near Hope Fountain where he later attended the Mission school. After working for a transport-rider and as a miner, he entered the Tiger Kloof Institution near Vryburg [South Africa] in 1914 to study for the ministry. Three years later he was ordained as minister at Hope Fountain Mission where he remained until his death. Mr. Khumalo had a vast knowledge of the lore and history of the Matabele and was concerned that it might be lost for all time. He then prevailed upon his friend and associate, Dr. Neville Jones, to undertake the writing of a work in collaboration with him detailing the history, customs and culture of the amaNdebele. Mr. Khumalo was also a "good linguist" who spoke Sechuana (Setswana), Sekalanga (TjiKalanga), Shona and English as well as his native Sindebele (Jones 1944: 4). In his identification of the various castes of the Ndebele state, the so-called zansi, abenhla and amahole to the Reverend Jones, the Reverend Khumalo identified zansi or Ndebele izibongo that we even know to still be the same today for the Ndebele. The last six on the fourth column to the right: Mlangeni, Maseko, Magagula, Hlatjwayo, Ndimande and Thabethe are, according to the Reverend Khumalo, Swati clan-names. It is therefore important to note that when I use the terms amaNdebele, the Ndebele, or Matabele in this book, I am not using it with reference to the so-called political classification which says that all who live in Matabeleland are Ndebele. I am referring to the Nguni group that left Zululand under the leadership of uMzilikazi. These are the people that are called the Ndebele no matter how vehemently some amongst us deny the fact. Going back to the Kalanga and the issue of animal totems, it is beyond doubt that only the Kalanga use animal names for totems. Evidence for this can be seen in the fact that they are the only Bantu group with no other type of totems apart of those animal name totems that they use, as opposed to other groups who use many and varied clan-names. Also, hardly any group that use this totem system can be pointed out that does not claim origins in Bukalanga. Ndebele izibongo are a very complex phenomenon on their own and have a complex history of their own for one to simplistically deploy as a concept to understand identity. For instance, in Matabeleland the isibongo Ndlovu is not signifying a single clan group. There are Ndlovu (Gatsheni) who are Nguni, Ndlovu (Gabula) who are Kalanga, Ndlovu (Mthombeni) who are Nguni and other Ndlovus with various ethnic origins. So one cannot use and take isibongo Ndlovu to mean a single clan and then quickly assign ethnic origin to the concept. On top of this there were numerous people of Lozwi-Shona origin who used their own agency to translate their original Shona surnames into Ndlovu. The reality is that one finds numerous Ndlovus in Matabeleland and the Midlands regions sharing a common totem (elephant) but not tracing their descent from common clans or ethnic groups. Totemic politics need explanation and cannot be deployed casually to enlighten debates on ethnicity in Matabeleland. Lindgren [who takes the same line of argument as mine on Kalanga totems] relied heavily on the works of white literate observers and early white writers who simplistically failed to go beyond the totem to the clan name in their definition of who was Ndebele and who was not. Ngwabi Bhebe, a historian, has shown that a number of people of Shona origin who were assimilated into the Ndebele state tended to Ndebele-lise their Shona surnames. Examples included Shiri becoming Tshili, Mhofu becoming Mpofu, Zhou becoming Ndlovu, Hungwe becoming Nyoni. Therefore, an approach to understanding Ndebele ethnicity based on izibongo rides roughshod over complex histories and complex processes of social engineering that took place in the Ndebele state (Ndlovu-Gatsheni 2008: Online). There are some weaknesses in Ndlovu-Gatsheni's approach, I believe. First, he confuses the Kalanga with the Shona. Or maybe he does not, but simply subscribes to the idea that the Kalanga are a Shona group, which itself will mean a lack of appreciation and understanding of Kalanga history and identity. Secondly, Ndlovu-Gatsheni's motives are well known: to establish a superior Ndebele nation comprising all groups that Mzilikazi militarily and forcibly incorporated into his state in the face of death by assegai or starvation. Thirdly, Ndlovu-Gatsheni's argument that some Ndlovus, for example, are Nguni, is faulty in the sense that it ignores the history prior to departure of Mzilikazi from Zululand, that is, there were already people of Kalanga origin living in that region for at least 100 years before the departure of Mzilikazi as we have already seen in preceding paragraphs. Just because there are Ndlovus and Ncubes in Zululand does not therefore mean those people are originally Nguni, in much the same way the fact that there are millions of Jews in America and Europe does not mean they are no longer Jews. Jews remain Jews whether they live in America or Poland or Argentina, even if they have spoken the languages and embraced the culture of their hosts for centuries. We therefore conclude that Kalanga remain Kalanga even though they are now primarily identified as Zulu in Zululand or Ndebele in Zimbabgwe or Ngwato in Botswana. As we have already seen, people using animal names for totems are found all the way from Zululand to Malawi, and this can be easily understood as a lasting effect of the mfecane wars and the resultant tribal convulsions and migrations. This is to be expected, for the dispersion of a people in times of war usually throws them into various parts of the world. The Jews are the best example of this. In the breakup of their kingdoms, the Kalanga were scattered all over Southern Africa. Those who today claim that the Kalanga are a very small population ignore these facts, and only identify as Kalanga only those people who live in Western Zimbabgwe and Central and Northeastern Botswana. It is to these groups who use animal names for their totems and which we have also identified as the sixteen tribes that the terms Bukalanga or the Kalanga refer to. But again I want to emphasize that much as these people groups are Kalanga by race, not all speak the Kalanga language, nor are their languages Kalanga dialects. For example, I think it would be not in the interest of progress and linguistic and cultural inclusiveness to treat Nambya as a dialect of Kalanga today. In linguistics it can work, but I am not sure it works well in the political economy of the country. It is therefore my submission that much as these people groups might be Bukalanga by race, they ought to be treated as distinct ethnic groups, especially in light of the fact that in today's language, Kalanga or Bukalanga is used only in reference to Bakalanga. As was pointed out by Hall and Neal, "the Rev. G. H. Cullen Reed of the London Missionary Society station in Bulalima[Bulilima], in Matabeleland, who has labored for some years among the Makalanga of that district writes: "In all descriptions of the Makalanga it must be carefully borne in mind that there is no tribe, existing as one, which bears this name, but the people to whom it is applied consist of many tribes having their own peculiar traditions and customs more or less allied, but with considerable differences most confusing to the enquirer" (Hall and Neal 1904: 134-135). As I have already said above, whilst these people and their languages belong to the Kalanga Group of Languages and Peoples, they are now distinct and unique, and in my opinion, should be treated as such. Whilst some of the languages in linguistics are defined as Kalanga dialects, I would advocate that in practice they be treated as distinct languages, for Bukalanga has always thrived on unity in diversity, not unity in uniformity! We therefore can never have such a thing as Standard Kalanga. Perhaps we can develop a common vocabulary for Science and Technology, but in common speech, our languages are rich and beautiful in their diversity. The reason I inserted the list of Ndebele totems above is because there is a lot of confusion in Zimbabgwe today as to who is Ndebele: people of Bukalanga √É¬¢√¢‚Äö¬¨" the Bakalanga, BaNambya and Vhavenda √É¬¢√¢‚Äö¬¨" as well as the Tonga and Sotho are bandied up together and identified as Ndebele, many times against their own will. Therefore, it will be understood that many a so-called Ndebele in Zimbabgwe are actually Kalanga. And many, out of a lack of knowledge, understanding and appreciation of their own history, heritage and identity proudly identify themselves as Ndebele who came down from Zululand. This is especially the case amongst the younger generation. What they do not understand is that they became Ndebele by militarily forced subjugation at the expense of their own languages and cultures. Finding nothing taught in school about Bukalanga, they shun that identity and hide themselves in Ndebele-hood. The same situation can be found in Botswana where some hide in a Tswanadom identity. This book is an attempt at showing that indeed, contrary to what is taught, or not taught in the schools, the Kalanga peoples have a vast history and heritage to be really proud of. Gone are the days when we were being parceled out amongst the Shona, the Tswana and the Ndebele as a sub-ethnicity of theirs. Now is the time to reveal our own identity to the world and give hope to a continent that seems unable to rise above its own problems. The Kalanga of Botswana have shown us that yes, Bukalanga we can. Our nationalist leaders demonstrated that yes, there is something special about us, whatever it is. The civilizations of our forefathers show that, yes, we are a distinct people of distinct capabilities. Now is the time for the Rebirth and Renaissance of Bukalanga. Let us not turn to the other more contentious question as far as identity in Zimbabgwe is concerned, that is: the Kalanga-Karanga-Shona relationship. Are the Kalanga a Shona group, and how do they relate to the Karanga? The next chapter deals with these questions. Chapter Two of my upcoming book, The Rebirth of Bukalanga: A Manifesto for the Liberation of a Great People with a Proud History.